← EVERYONE SHOULD GET AT LEAST ONE SEED-CHANCE. FIRST MAJOR RATHAYATRA EVENT IN BRISBANE. 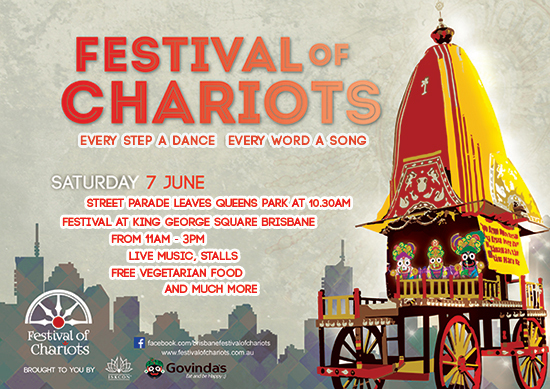 FESTIVAL OF THE CHARIOTS. SATURDAY JUNE 7 TH 2014. BRISBANE CBD. Organised by ISKCON.